How do you plan a World Cup viewing party ... at work? It's a dilemma millions of Americans are grappling with as Team USA takes on Germany Thursday at noon ET, smack in the middle of the normal work day. The US will advance to the Round of 16 if it beats of ties Germany -- or a host of other scenarios outlined here. Plenty of people told CNNMoney they'll be tuning in on the ESPN app, even if they have to hide it under their desk, behind papers or in a well-placed bag (this is when it helps to have a purse or messenger bag, we hear). 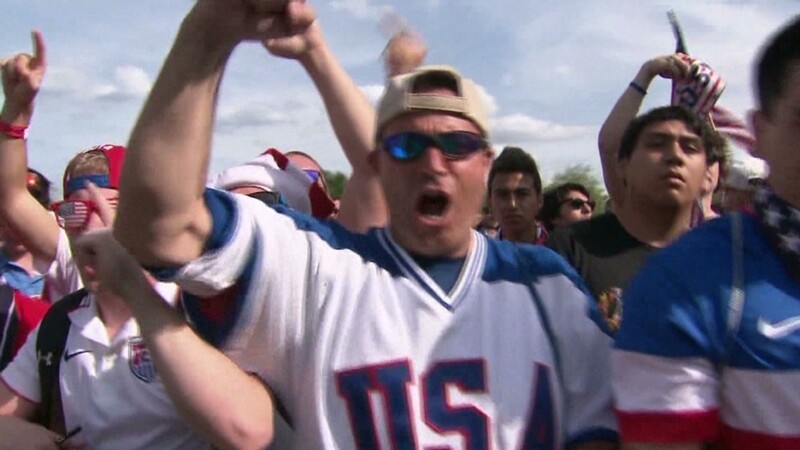 "I work a cubicle and will have my mobile under my monitor so only I can see," says Edwin from Arizona, who's rooting for the U.S., but still trying to keep it quiet from his boss. Then there's the approach of the well-timed lunch. "I have gone to lunch at a close by sports bar with colleagues to check out matches," says Christine from West Palm Beach, Florida, also a red, white and blue team fan. "Our method is to leave work right when the first half is ending so we can catch the second half and see how the match finishes." Others get the entire office involved. "I set up a meeting called Arena Pernambuco Distributed Antenna Systems. I invited my coworkers and booked a meeting room. I will use a project to display the game," says one reader who asked not to be named. It can get a little complicated when there's a major event going on at work. Michael, a teacher at a high school in New York, is supposed to be watching his school's big graduation ceremony around the same time Team USA takes the field. "I plan on just sitting quietly in the graduation audience, while secretly watching the game on my phone. I'm sure several of the other teachers plan on doing the same. Ditto for the parents. Ditto ditto for the students," he says. Twenty-five million Americans tuned in to watch the U.S. take on Portugal in Sunday night's 2-2 draw, according to data from ESPN and the Spanish-language channel Univision. CNNMoney's Anastasia Anashkina contributed to this report.